After the huge surge of products combining skin-care and makeup, it's rather difficult to avoid them. Personally, I ignored the BB cream fuss (and now I have the CC creams to contend with), as I already have my tinted moisturisers for a lighter coverage and full foundations for higher coverage. As I'm slightly wary of these creams to stay true to their vast array of claims and with so many to try, I thought I'd test out a foundation that includes skincare, instead. 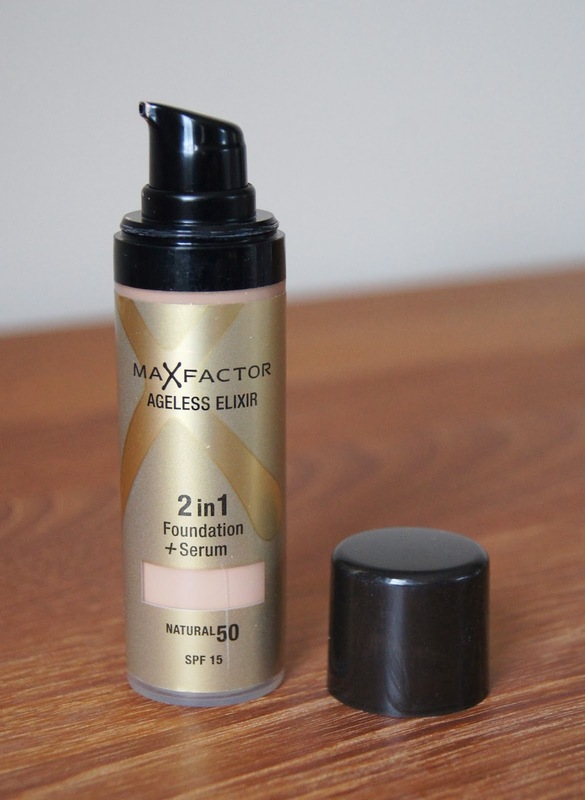 As the time has come to give my Summer makeup must-haves the cold shoulder, I thought it was the perfect chance to put MaxFactor's Ageless Elixir 2-in-1 Foundation to the test. MaxFactor boast that this foundation covers fine lines and wrinkles with ease and the serum within the formula helps to protect the skin from daily damage. Being only 21, I don't have any issues with fine lines or wrinkles just yet (touch wood), so I'm not really the best person to judge that. Then again, when I gave my Mother some to try, she was pretty impressed. Saying that, she is hardly a devout foundation wearer to start with, so she was possibly more taken aback by how much more even her skin tone was. Even though this product is supposed to camouflage fine lines and wrinkles, I don't think that it is only suitable for older women. Maxfactor say that it helps to protect the skin, keeping aging at bay for younger women, which is always a concern for me. You can never start too early! It does give a lovely finish, covering blemishes, freckles and any redness with ease. 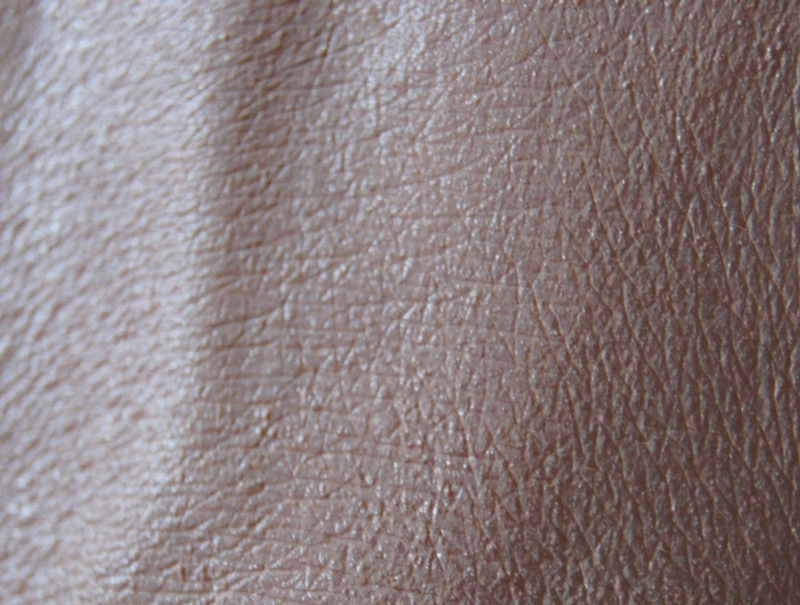 Although, this may be one of the downfalls of the foundation though, as I don't think it looks that natural on the skin. In terms of texture, it does feel silky smooth, with a thick gel consistency. This can feel slightly too heavy on your skin, especially if it's a bit dry. The solution? A really well moisturised face to begin with - then it seems to glide onto the face effortlessly, with either a brush or your fingers. Also, you only need the tiniest of pumps for a full face, so this is really a money saver. With the addition of an SPF 15 and an integrated serum, you don't need to use two other separate products in your routine, meaning it's a time saver too. Extra time in bed in the morning? Yes please! Unfortunately, the shade that I have, 50 Natural, is not the greatest of matches for my complexion. My skin is more yellow toned, whereas this shade is just a tad too pink and it can look a bit ashy. When I've worn it, my saving grace has been a sweeping of bronzer, just so I don't appear too grey. In total, there are only 6 shades to choose from which is so disappointing, even for a drugstore foundation. I personally think the cheap, plastic packaging isn't great and I hate the sticker (even though it lets you see how much product remains), but it is a drugstore foundation and this type of packaging is common. As it isn't glass, it is quite light, so isn't too much of a burden to carry in a makeup bag. Another plus is that it has a pump, which is hygienic and means you can use up the whole product, without wasting any. 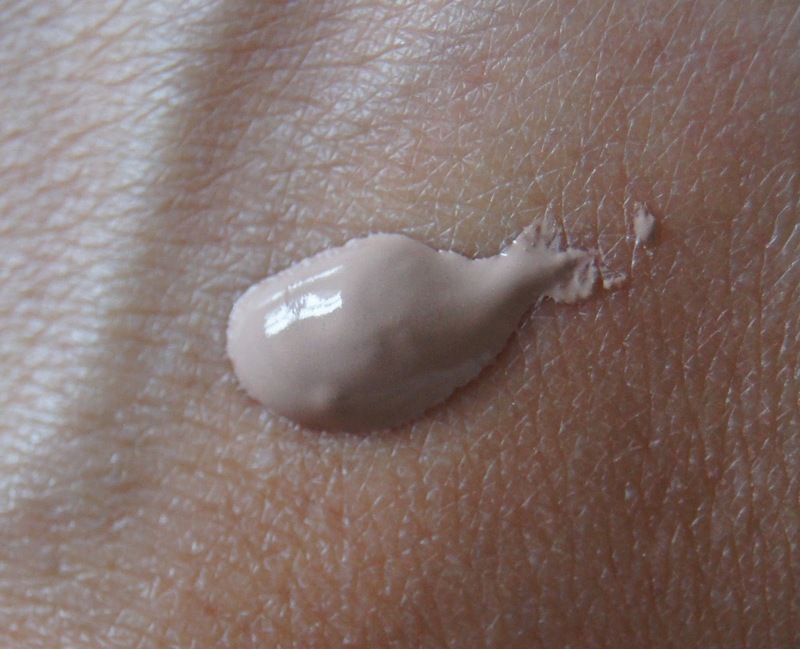 This product costs £12.99 for 30ml, which is rather expensive for a drugstore foundation. Overall, I'm slightly indecisive about MaxFactor's Ageless Elixir. The foundation lasts well on the skin, smells rather nice (though it is quite strong and may be a problem for those with sensitive skin) and gives you a luminous glow without looking shiny, when put on top of well moisturised skin. But, it can feel and look slightly heavy and the range of shades isn't the most varied. I certainly wouldn't repurchase this foundation, but I will finish the bottle, using it as an everyday base when I'm running errands or not doing anything special. 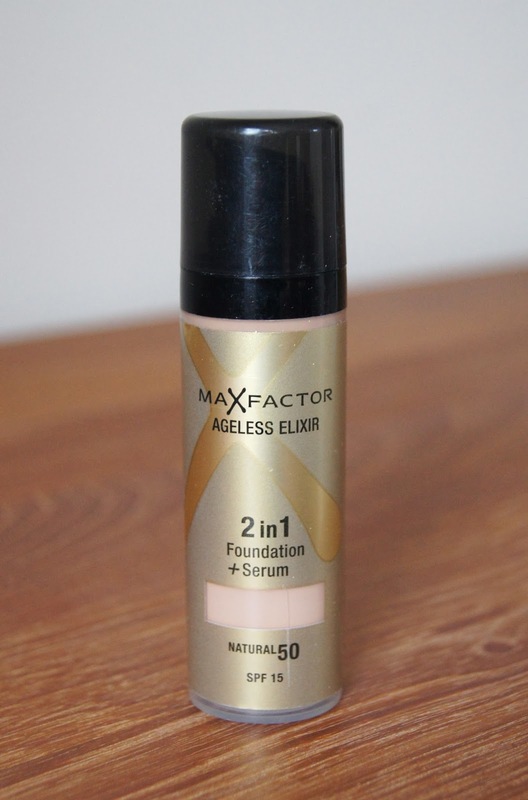 Have you tried the Maxfactor Ageless Elixir 2-in-1 Foundation?